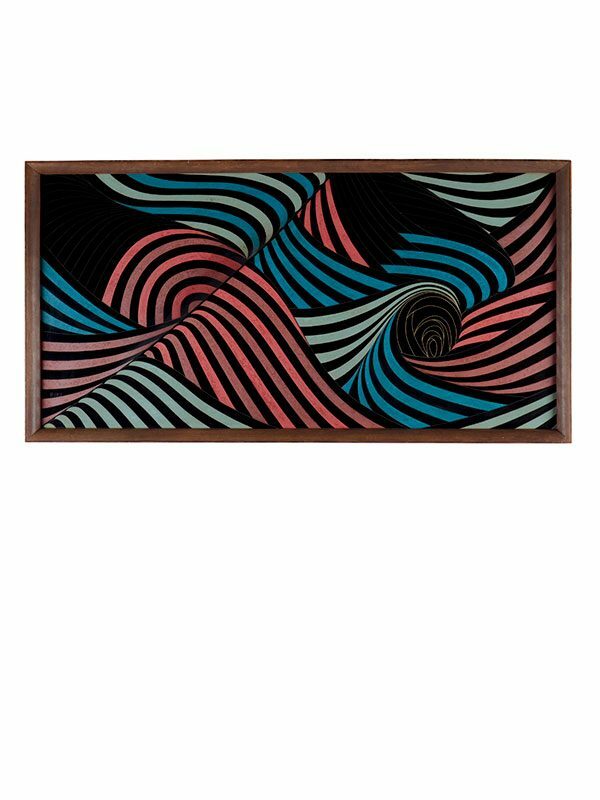 A large framed panel, lacquered in red, turquoise and dark blue on a black background, depicting a multitude of wild waves rolling and crashing. The panel varies in depth, creating a three-dimensional effect. The panel is inscribed: RIKI (of Rikimaru, the artist’s surname). With the original tomobako, inscribed: ”Nami, rensaku, sonosan, To. Kagawaken, Takamatsu-shi, Yashima, Nishimachi, Rikimaru Takuji.” [Made by Rikimaru Takuji, entitled Crashing Waves, a part of three objects ”Waves”. A paper label attached to the box reads: ”Daijuuikkai Nitten, daimei Rensaku Sonosan, To, Rikimaru Takuji dono, Tokyo, Takenakada atsukai.] 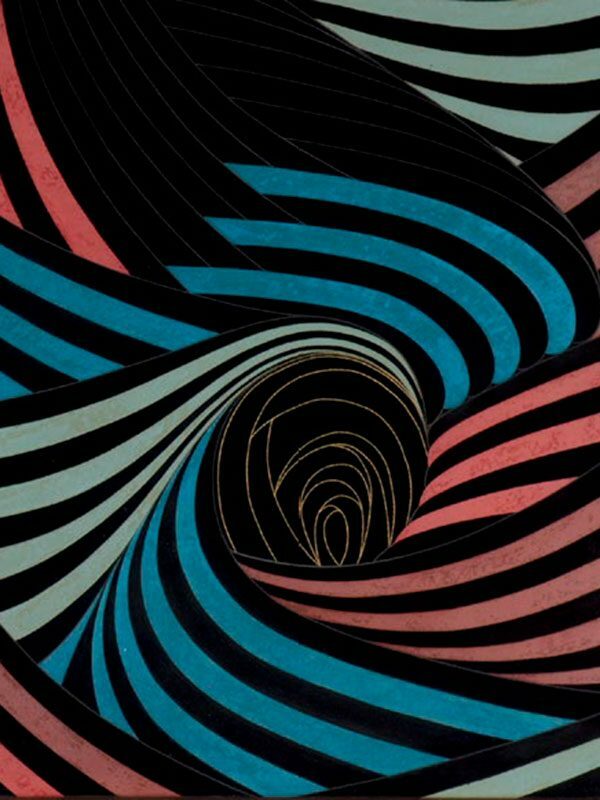 Exhibited at the 11th Nitten Exhibition (1968, Showa 43), the work entitled Crashing Waves, a part of three objects ”Waves”. Takuji Rikimaru was born in 1931 in Kagawa Prefecture. His works can be found at the Kagawa Prefecture Museum and were exhibited at the Gendai Kogei ten Exhibitions [Contemporary Art Works Exhibition] between the 1960’s and 1980’s. In 1971, at the age of 40, Rikimaru was given a Tokusen prize at the Nitten Exhibition.